Birth Date: Sunday July 03, 1859. Date: Saturday July 03, 1875. Date: Monday October 09, 1876. Date: Saturday August 10, 1878. Date: Thursday March 04, 1886. Date: Sunday March 04, 1888. Date: Tuesday December 13, 1949. Date: Thursday December 15, 1949. In spite of the year 1856 in her obituary, Nancy almost certainly was born in 1859. Although I do not have a birth record, census reports are consistent. This would make her 15 or 16 at the time of her marriage, which was not especially shocking in that day, but may be the reason that family accounts make her 3-5 years older. The mystery here is how she and John came to be married. In 1875 John, who apparently has lived most of his life in Ohio, moves to eastern Illinois and marries Nancy. By some accounts Nancy's parents were born in Ohio, in others her father was born in Pennsylvania and her mother in Illinois, and yet again both were born in Illinois. An arranged marriage might be consistent with some of these accounts. However it happened, it seems to have been a good match. Mormon files say Nancy's father was Macklin McBride, but no such person exists in historic records found so far. The name "Mack McBride" is found in her obituary, but this "Mack" is a nickname short for McBride, not short for the hypothetical given name "Macklin." The obituary may not be entirely clear to some people. Ludlow is a small town in what is now Champaign county. (It has little to do with labor history: that's Ludlow, Colorado.) This is given as her place of birth. Logan county is centrally located, which means west of Ludlow. This is the place Nancy is said to have remembered a pleasant childhood, (according to the census near the village of Middletown). I have discovered nothing about Nancy's family. It seems possible that the neighbor in the 1860 census named McBride is a brother of John, and more may be revealed about the McBrides, but Nancy's mother is a mystery. I have taken "Mary Johnson" from Claudia's AFN submission, not because it is supported by any evidence, but because there is simply no other clue. By the time of the 1900 census John Eighner and Nancy McBride's family is complete. She has borne 6 children of which 5 survive. John Jr is one of several John Eighners generally called Jack. Jack might have been born as early as August, 1875 (as reported to the 1900 census). He was the first born, the tallest, and the child who most resembled his father. John Jr married Mary K. Nelson and had two children: Clarence and Carrie. Clarence had many children, making his father the root of one of the two main branches of the Illinois Eighners. Generally called "Charles Senior" took after his mother. He married Mabel Keene and had numerous children, making him the root of the other main branch of the Illinois Eighners. Joseph married Pearl Keene (sister of Mabel Keene). They had a son and a daughter. Although the son had sons, including your humble proband, they did not live in Illinois for any appreciable time. James married Mary C West. He had a son Howard. Rather late in life Howard began using Mary's second husband's name Taylor. Howard was a "confirmed bachelor." Nellie died at little over 1 year of age. The 1900 census reports Nancy had a child that was not surviving. Nellie’s headstone, apparently, has been located, and it states she died aged 1 year, 1 month, and 12 days on February 17, 1897. Funeral services will be conducted at 2:30 p.m. Friday [December 16, 1949] at the Segur funeral home for Mrs. Nancy McBride Eighner, 93, who died early Wednesday morning at the home of her daughter Mrs. Anna Burdick, with whom she made her home. Her death was due to a stroke suffered Tuesday. The deceased was born July 3, 1856 at Ludlow and was the daughter of Mr. and Mrs. Mack McBride. Her childhood was spent in Logan county and she came to Watseka in 1923, marrying John Eigner [sic] at Paxton in 1875. He died October 24, 1927 at his home in Watseka. Surviving are her daughter; three sons, Charles of Watseka, Joseph of Jasonville, Ind., and John of Rankin, 15 grandchildren, 34 great grandchildren and two great grand children. Mrs. Eighner is the last of her generation. The body was removed to the funeral home where friends may call until the hour of the services. Rev. Ward S. Humphries will officiate and burial will be at the Body cemetery. [End transcription] Clipping from Bonnie Kamps Collection, Watseka Republic, December 15, 1949. Elenisy (?) " 30 f "
Madison " 3 m "
Jno " ?/12 " "
194? 2008 Jno McBride 34 " Farmer 400 ? Mary " 28 f "
Marie " 1 " "
Jno Wilson 19 m Laborer ? Although Nancy McBride is by no means a rare name in Illinois of the period, based on her memories of a childhood in Logan County, this would seem to be our Nancy. The date of the actual enumeration is August 11, when she would actually be 2 years old. Note: Jno. is a period abbreviation for John (not Jonathan). The meaning of the strange symbol (like @) in the birthplace column for Jno. McBride is not known. It may be a kind of super ditto mark. 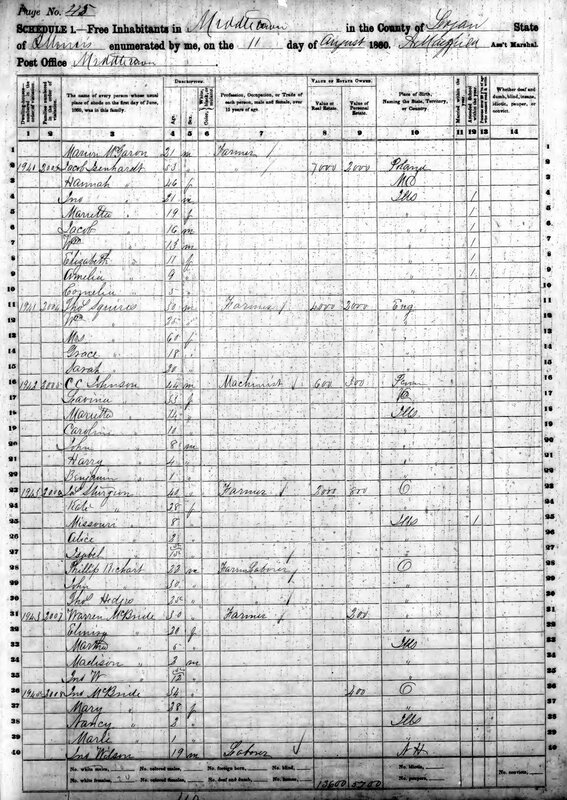 Census image — Population schedules of the eighth census of the United States, 1860, Illinois [microform] (Volume Reel 0200 - 1860 Illinois Federal Population Census Schedules - Logan County) - United States. Bureau of the Census image 278. 294 303 Eighner Nancy Wife W F July 1859 40 M 24 6 5 Illinois Pennsylvania Illinois . . . . . . Yes Yes Yes . . . .
294 303 Eighner Charley Son W M Aug 1878 21 S . . . Illinois Ohio Illinois . . . Farm hand . 3 Yes Yes Yes . . . .
294 303 Eighner Joe Son W M Aug 1881 18 S . . . Illinois Ohio Illinois . . . . . . . . . . . . .
294 303 Eighner Jim Son W M March 1887 13 S . . . Illinois Ohio Illinois . 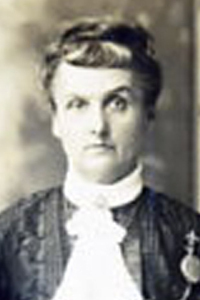 . . . . . . . . . . . .
294 303 Eighner Anna Daughter W F March 1889 11 S . . . Illinois Ohio Illinois . . . . . . . . . . . . .
294 304 Eighner John Head W M Aug 1875 24 M 0 . . Illinois Ohio Illinois . . . . . . . . . R . H .
294 304 Eighner Mary Wife W F Aug 1879 20 M 0 0 0 Illinois Denmark Denmark . . . . . . Yes Yes Yes . . . . 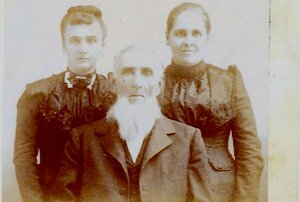 Here is John and Nancy's family complete in 1900 plus John Jr.'s new wife Mary Nelson. (Little Nellie did not survive to appear in any census.) Nancy is shown as born in July, 1959. Her father is shown as born in Pennsylvania, but he is reported as born in Virginia in other places, so this does not help eliminate or confirm the 1870 Paxton census. 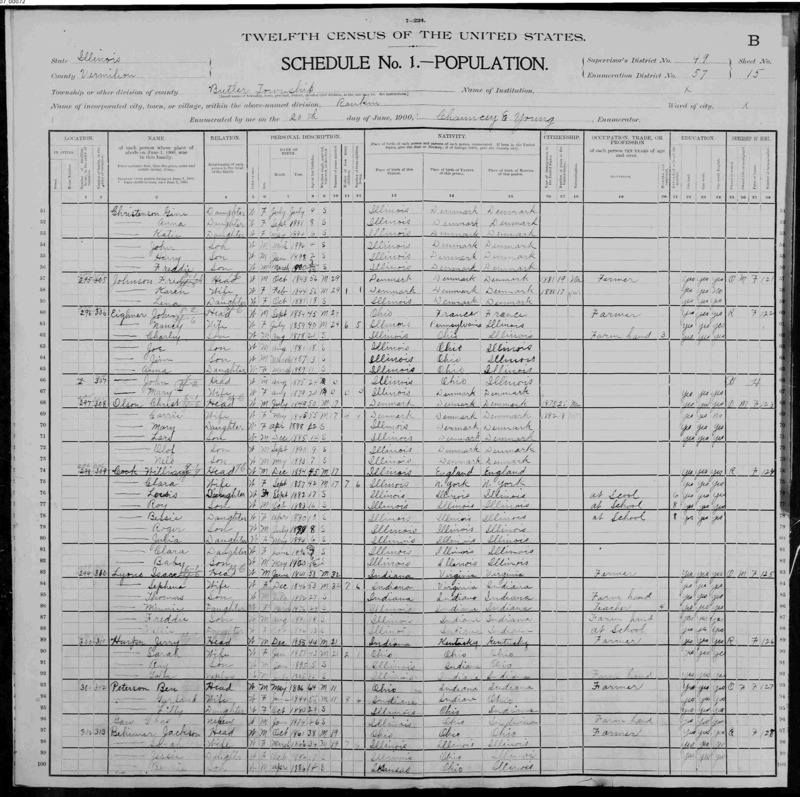 Census image "United States Census, 1900," index and images, FamilySearch: accessed 03 Aug 2012, Nancy Eighner in household of John Eighner, ED 57 Butler Township Election District 1 Rankin vill., Vermilion, Illinois, United States; citing sheet 15B, family 303, NARA microfilm publication T623, FHL microfilm 1240348.